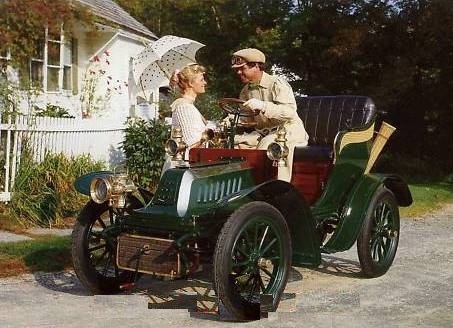 Since I had recently written a post on the 1964 sci-fi classic "First Men in the Moon" what better than to do a follow-up Motoring Series post on the classic car used in that film.....the 1903 De Dion Bouton. Oh and what a beauty she be! 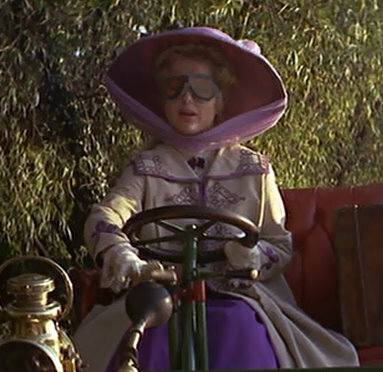 Katherine Callender ( played by the lovely Martha Hyer ) cheerily approaches Cherry Cottage in a smart automobiling habit whilst sitting atop this beautiful dark green De Dion Bouton. Did I say this was a beautiful looking little car? 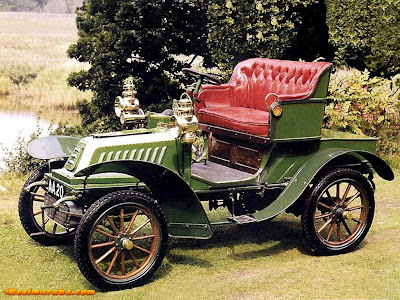 It seems that dark green was the only color the body was available in that year since all the existing 1903 models are dark green. De Dion-Bouton was a Parisian automobile manufacturing company formed by Compte Albert De Dion and Georges Bouton in 1883 to make boilers and other small steam-powered engines. Within a year they were making automobiles and improving on the current models by utilizing front-wheel steering and rear-wheel drives. During the next ten years they continued making automobiles and steam-powered engines for towing horse drawn carraiges, as well as experimenting with internal combustion engines. One of their most popular models was the Petite Voiture, a three-wheeled bicycle with a internal combustion engine, built in 1896. By 1900 De-Dion Bouton was the largest car manufacturer in the world....and they soon expanded by licensing their engines for other automobile makers as well. De Dion cars were always ahead of their time and were known for their reliability. Standard features of the early 1900 models included a water-cooled engine with electric ignition, a gear box in which each gear had its own individual expanding clutch which permitted smooth gear changes, tubular chassis and those cute little brass headlights. What more could any driver ask for? These cars sold in significant numbers in their day and hence their survival rate is high. Some models can be seen at the annual London to Brighton Veteran Car Races. De Dion -Bouton became the first company to produce a car with a V8 engine ( in 1910 ) but unfortunately sales declined by the early 1920s, and in 1932 they ceased producing passenger vehicles altogether. Very interesting BLOG and I love the images you posted. Kat. In 1904 Edward Douglas Fawcett, a mountaineer, aviator, novelist, and philosopher (and brother of "Lost City of Z" explorer Percy Fawcett) drove a 1903 De Dion automobile up the slopes of Mount Blanc in Switzerland to the Mer de Glace glacier. 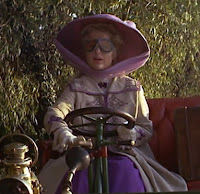 There's an interesting biographic article on Fawcett at the Keverel Chess web site (the multi-faceted Fawcett was also an accomplished chess player) which includes a photo of a 1903 De Dion. Thank you davidd, for your interesting comment. I was not familiar with the Fawcett brothers, but you have intrigued me so much that I may just do a write-up on them as well! 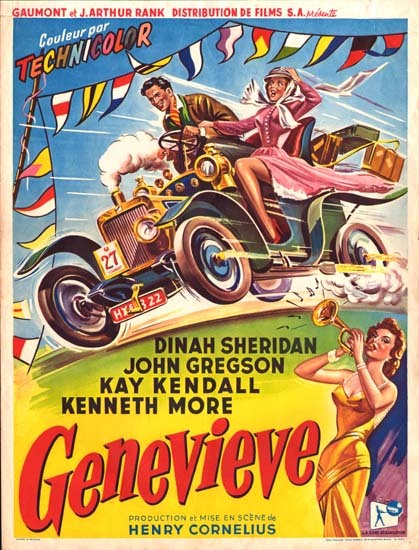 It is fantastic that he was able to motor along that glacier in a De Dion - not that I doubt its capability - just that is quite an undertaking even in today's time.